Nate's Welding Works LLC has been serving the island of Oahu for several years. Our products are built and finished to the customer's specifications with the highest regard to superior craftsmanship. This gives our customers the quality and service they can see and appreciate. When looking for quality that lasts as well as excellent customer service, you can count on Nate's Welding Works LLC. We do residential and commercial installations and repairs. We specialize in custom projects such as: driveway and pedestrian gates, fences, cable rails, railings, window guards, aluminum fabricating and welding. You name it. If it has to do with any type of metal, give us a call to discuss your project. 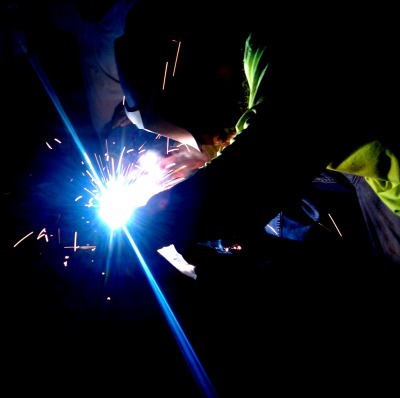 We offer custom fabrication and welding. Now you can expect a durable, long lasting finish, applied with the same pride in craftsmanship that has made Nate's Welding Works LLC a leader in metal manufacturing.